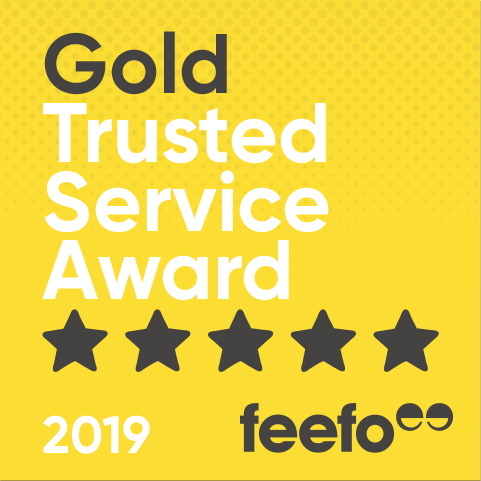 We're very proud to have won Feefo's Gold Trusted Merchant award. Service: We booked very last minute. Helen and Alex were very helpful, responsive and everything went very smoothly. Product: The villa was light, modern and spacious. It had everything we needed and the terrace on the first floor was lovely for sitting out on. The location was great for walking to the amazing beach. So Chic !!! So Sunny !!! So Surf !!! A delightful quiet place (we went September) but very friendly locals and not touristy at all. Plenty of things to do nearby from endless beaches to woodland walks to wine tasting. Service: Efficient booking service with good arrivals pack and info. Product: Truly became home from home - extremely comfortable accomodation with everything you could possibly need. Fabulous location from which to explore the many delights of Acquitaine or simply chill by the pool. Great patisserie/shop round the corner for breakfast and top ups. Owners very friendly and happy to give excellent recommendations for things to do/places to eat and always available to help if required. Great town with fabulous beaches nearby. Good cycling routes. Product: The property was stunning and the hosts could not have done more for us during our stay. We really didn't want to come home from a wonderful week here. We feel extremely lucky to be the first guests to enjoy staying at this fabulous villa. It was beautifully and luxuriously decorated to a very high standard, equipped with everything we could possibly need and more! The pool area was comfortable and immaculate. A lovely area to relax and keep cool in the hot weather. We are outside on all but one of the evenings and the BBQ was more than big enough for our large group. We all enjoyed walks around the local area and vine yards, while travelling further afield to local towns. supermarkets are only a short drive away, as are local markets and activities such as canoeing and cognac tasting tours. We had an exceptionally warm welcome on arrival and shown where everything was and when we needed help because the BBQ had run out of gas it was replaced within less than 12 hours! Dan the owner made sure everything was perfect for our stay and it really was. This is a 5* properly with 5*hosts. I can find no faults.The beds were very comfortable and several of us have noted down the make of bed sheets and towels to get some for home because they were so soft and comfortable. Thank you for such a lovely week away and we can't wait to revisit. Lovely area with lots to do and see. Loved it - laid back, good activities available, great choice of beaches- one side has Atlantic waves, the other peaceful lagoon style. Good choice of places to eat, we liked Le Central, went twice. Cap Ferret was easy to get to, we went by plane, train and boat, didn't bother with a car but hired bikes for the week, cycling to different beaches. It wasn't a cheap holiday but worth it for teenagers may not be holidaying with us much longer, but loved it, we could have stayed another week. Service: I would highly recommend Alternative Aquitaine. The property was exactly as they described, their agent in the locality was very helpful and everything worked smoothly. Product: Alternative Aquitaine provided a great service, the property was as described and the agent in the location was very helpful. We have been to Hossegor for the summer holidays for the last 10 years. Plenty to do and a lovely environment. Service: We thought Alternative Aquitaine provided an excellent service. They were professional, very helpful and responsive and all the advisers were friendly and efficient, answering all our questions about all aspects of our holiday and travel arrangements. We very much enjoyed our holiday at Cottages du Lac, the apartment was even better than anticipated! Product: Very nice holiday park. Chilled and not too busy. Apartments spacious and of high quality. Well furnished. Lovely setting beside lake and activities on site were good. Cafe/snack bar was nice but service slow and menu could definite be expanded. Gorgeous natural area and lovely lake. Enjoyed cycling around the area. Great theme parks like the water park. Perfect place for a relaxing and active family holiday. Service: They know the are and the individual properties well. they give an honest appraisal. Product: Good location for easy access to beaches. Nice pool and outdoor area. Kitchen really well equipped. Traffic from road can be heard at night. Beds not very comfortable. Beaches superb. Cycle trails are great. Not quite as keen on the villages as very centred around the oyster farming and the little bars overlooking the water would only let you have a drink if also eating oysters. In our opinion, the villages in Ile De Re are more attractive. Service: Efficient friendly service, great final instructions before the holiday. Product: Jules & Vincent have thought of everything. They have fantastic style & have made the house very comfortable. It is spacious & there are different places to relax around the house & garden. The pool was a big hit with the children. I definitely recommend staying here & hope to return one day. Great beach, restaurants & shops. Service: The organisation re booking this holiday was very straight forward and easy. I was helped by kind and friendly and helpful staff whenever I spoke to someone at Alternative Aquitaine or email infact. Product: The house is perfect for a family holiday. It had every convenience one would need for a holiday from baby kit ie travel cot, high chair to swings and a slide in the garden. There's plenty of space outside for children to run around in. Inside the house is also as good. There is a TV which was just used to watch CDs but that was useful in the evenings if necessary. Its tastefully decorated and we would happily stay again. Marteen who greeted us was extremely kind and friendly and helpful. Hossegor is about 10/15 minutes away. Its very surf orientated and was extremely busy in mid August but that was to be expected. Children had surf lessons in Seignosse with a great company. Choose from over 200 stunning holidays, all hand picked and personally visited by us.